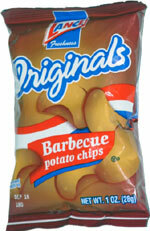 Taste test: These are pretty much average barbecue chips. 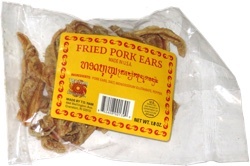 They taste OK with a medium, slightly sweet barbecue taste and no aftertaste, but they're nothing special. If you have Lance chips available to you, I'd suggest getting one of the Chip Thunder varieties over these. Smell test: Very mild barbecue smell, nothing special. This snack was discovered by Jeremy at Chili Mac's Diner, St. Louis. Review published .